Hey gang! Are you ready for some more arm knitting action? It has been a little over a year since I posted my most popular YouTube video ever and I'm back with an updated DIY and updated how-to video!! 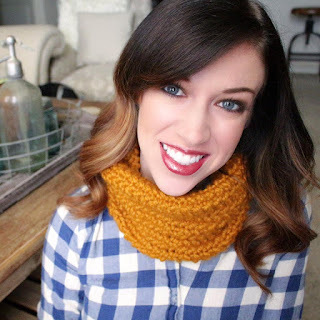 My original DIY Arm Knitting - Arm Knit Scarf video was a smashing hit last Fall/Winter ringing in today with almost 3.1 Million views! I must say my video and editing skills have come a long way since that first video, but we all have to start somewhere, right? Today's tutorial is a new way of arm knitting which includes steps on how to switch out your yarn to create a striped scarf. 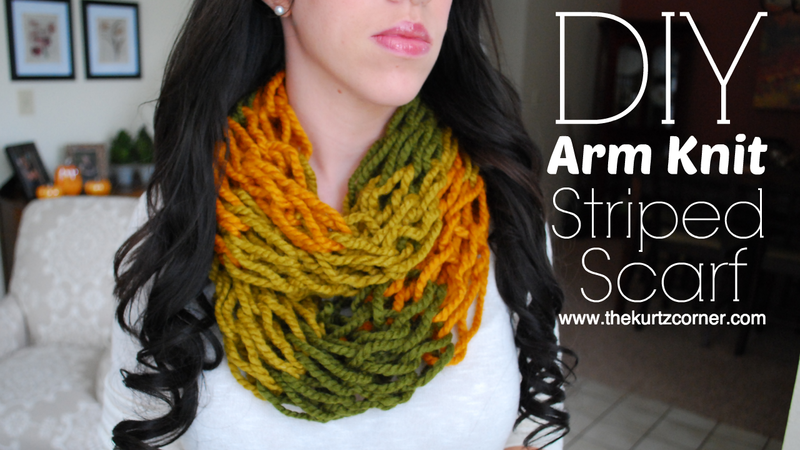 I really like this method because it creates a fun combination of colors when wrapped twice around your neck. You could even do ombre style which I think would look super cute! Make them for yourself or make them as gifts, either way I know you or your friend and family will love them! - The tails goes around your thumb when you are casting on and will get shorter as you go. This is why we start with a long tail. It's Fall, Y'all! I am so excited! It's still in the 90's here is Texas, but that doesn't mean we can't gear up for Fall! 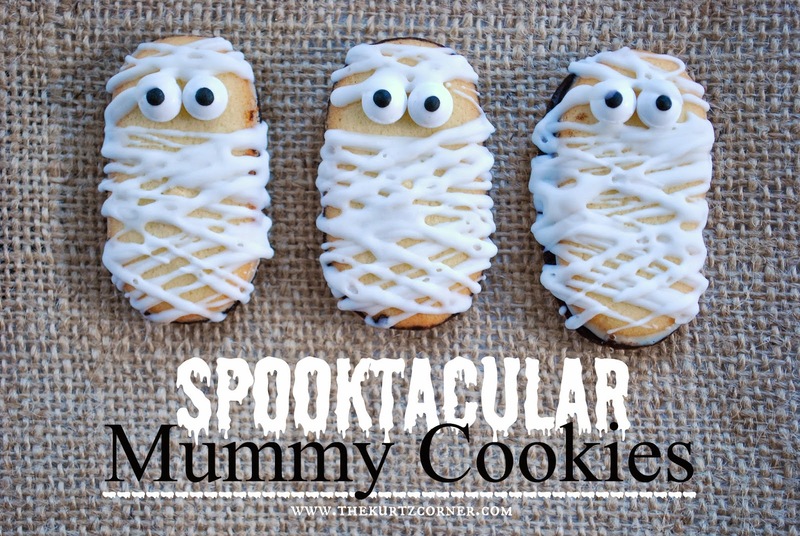 Today I'll be showing you how to create these adorable mummy cookies! These are great if you're in a pinch and need to throw something together fast for a Halloween party or an easy DIY you can do with the kiddos. With only three ingredients, it's win win win!